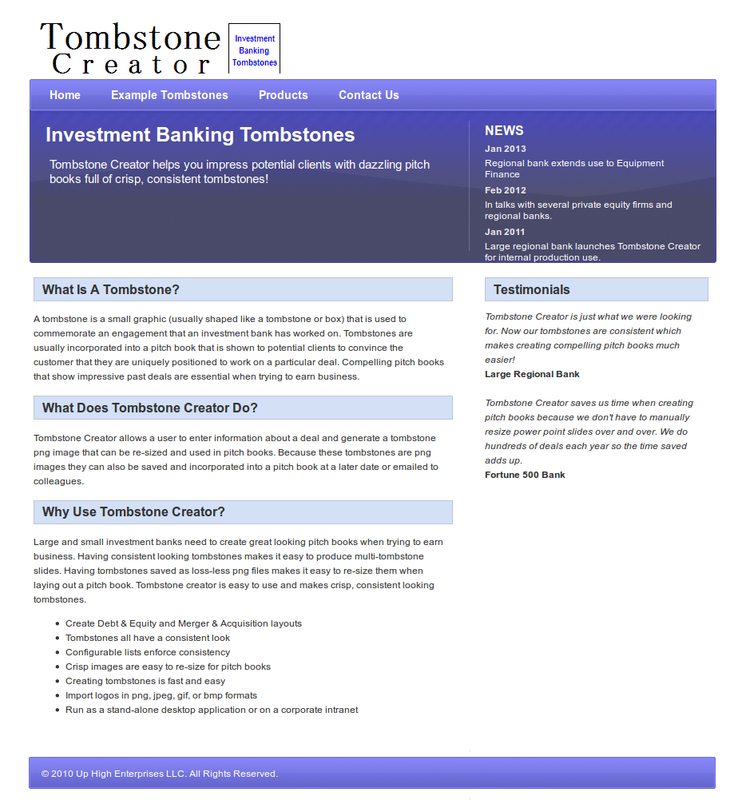 Tombstone Creator is a commercial software package that helps investment banks and private equity firms generate graphic tombstones to commemorate deals. These tombstones help impress potential clients with dazzling pitch books full of crisp, consistent tombstones. 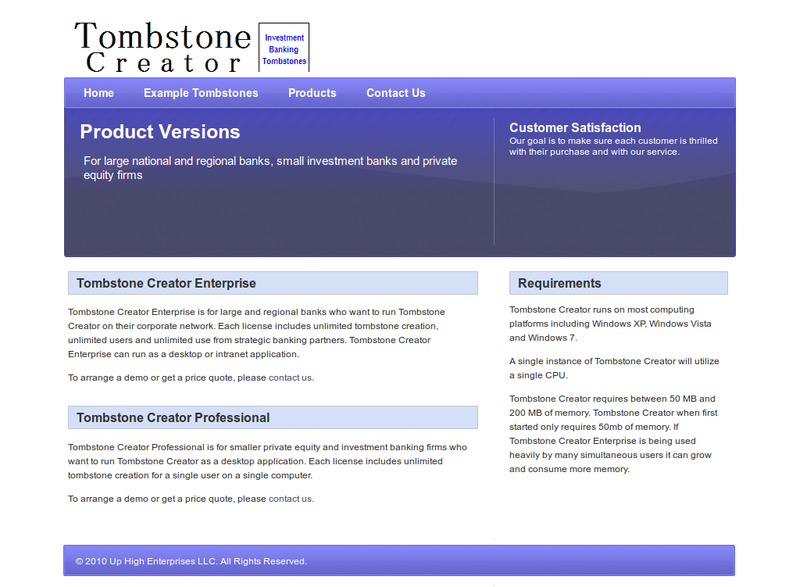 Tombstone Creator has been used by regional players for several years and has started trying out a subscription service model to gauge interest from independent brokers and smaller private equity firms.